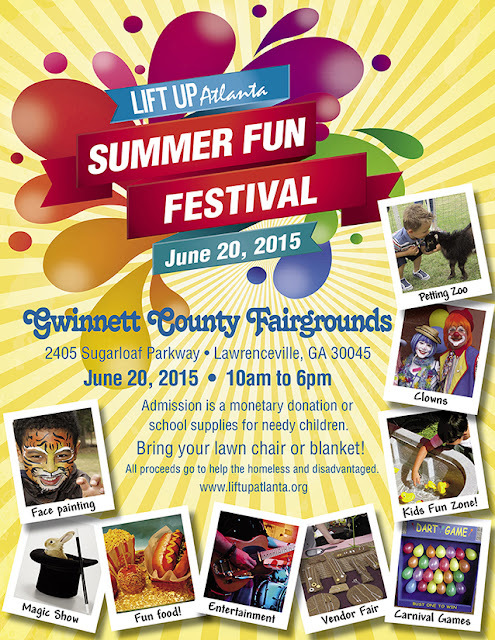 Lift Up Atlanta is also having a field day team competition where they invite you to come and compete for fun prizes while helping the kids. They will have fun activities like potato sack races, egg spoon race, tug-o-war, water balloon toss etc. You sign up in teams of 6. Your only entry is a donation of school supplies. I have attached a flyer with event information. Feel free to share and spread the word about the good works that Lift Up Atlanta is doing. Come out and have fun while serving your community. No better reward. See you on the 20th.